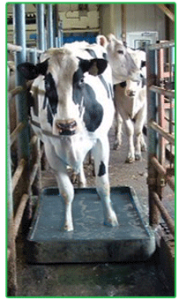 Hoof-Zink® E-Z Liquid is the best alternative for your dairy operations to replace copper sulfate. Using Hoof-Zink E-Z Liquid, there is no need to mix a dry product with hot water or in combination with an additive to dissolve and produce a complete solution. Hoof-Zink E-Z Liquid is a highly concentrated liquid mineral source of zinc (30% Zn; 15 lb/gal). Hoof-Zink E-Z Liquid will not freeze until the temperature falls below -40°F, allowing unheated and outside storage (plastic containers). Hoof-Zink E-Z Liquid is conveniently packaged in a 3,000 lb. liquid tote (200 gallons; 750 liters), 400 lb. drum (26.727 gallon; 150 liters), 220 lb. drum (14.7 gallons; 55 liters) or a 40 lb. jug (2.6 gallons; 10 liters). Hoof-Zink E-Z Liquid is a patented liquid zinc formula that has been shown in university trials to be highly effective in preventing heel warts in dairy cattle. With Hoof-Zink E-Z Liquid, there is no need to mix a dry product with hot water or in combination with an additive to dissolve and produce a complete solution. Hoof-Zink E-Z Liquid is a highly concentrated liquid mineral source of zinc (30% Zn; 15 lb/gal) of zinc. Hoof-Zink E-Z Liquid will not freeze until the temperature falls below -40°F, allowing unheated and outside storage (in plastic containers). Hoof-Zink E-Z Liquid is conveniently packaged in a 3,000 lb. liquid tote (200 gallons; 750 liters), 400 lb. drum (26.727 gallon; 150 liters), 220 lb. drum (14.7 gallons; 55 liters) or a 40 lb. jug (2.6 gallons; 10 liters). Hoof-Zink E-Z Liquid is a patented liquid zinc formula that has been shown in university trials to be highly effective in preventing the growth of Fusobacterium necrophorum and Prevotella melaninogenica, bacteria known to cause foot rot, and Treponema strains genetically and phenotypically similar to those that cause heel warts in cattle and sheep. Zinc provides a necessary micronutrient for both grain and forage crops when lagoons containing footbath contents are field-applied. University and field studies have shown that adding zinc to deficient soils can increase grain yields. In contrast, overuse of copper sulfate can negatively impact your crop yields. Copper is not readily used by plants, and a build-up of copper in soil inhibits seed germination and root growth. Hoof-Zink E-Z Liquid is routinely used on many organic-certified dairies. Hoof-Zink E-Z Liquid is a single chemical product, zinc chloride, as are generic copper sulfate and zinc sulfate commonly, both commonly used in organic dairies. Most certifier approval only requires a Hoof-Zink E-Z Liquid label and Safety Data Sheet sheet for their review/acceptance. Hoof-Zink E-Z Liquid is the most effective long-term foot bath product that maintains hoof health while ensuring long-term cropland productivity in support of sustainable agriculture. Hoof-Zink E-Z Liquid is also Odorless. Not sure how much Hoof-Zink E-Z Liquid you will need? 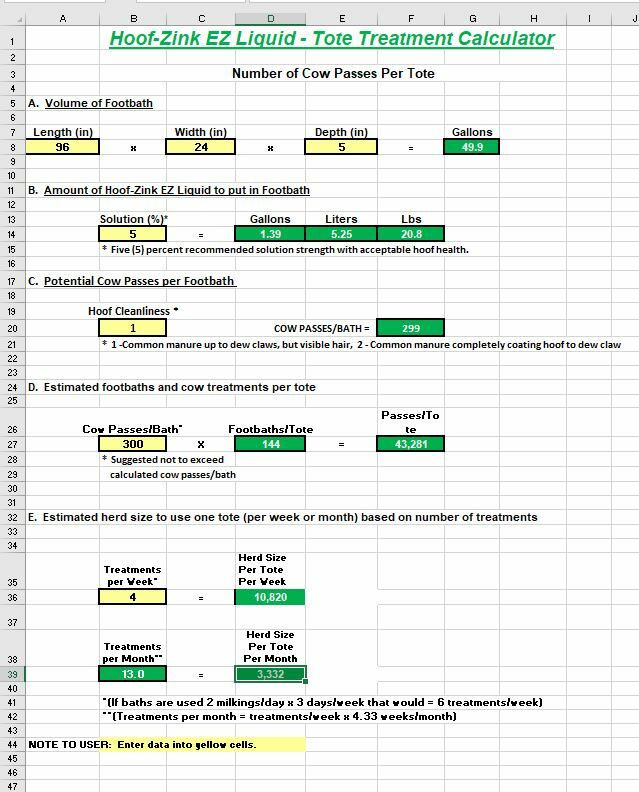 Download the Hoof-Zink E-Z Liquid Calculator Excel file and take out the guess work! Want to learn more about Hoof-Zink E-Z Liquid, where to buy it? Have any other questions? 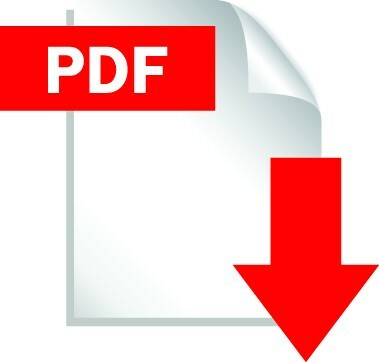 Call (888) 727-ZINK (9465) or click on the button below to contact us.